Share the post "Leonidas Kavakos, the Sibelius VC, the SFS, and the truth"
Recently, I talked to a friend, who is a professional musician, and who was unhappy with his performance on a certain day. As a member of the audience, I had noticed a few little mistakes, but had forgotten about them as the music went on. 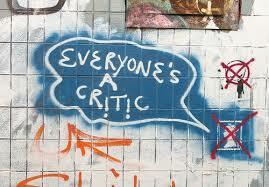 I am not a critic, so it is not my job to note all the little flaws, which might be there. I, too, like to ride the storm of subjectivity. Oh, but don’t we both know so well, the feeling of dancing and making that little error that no one besides ourselves will remember beyond a few seconds? Flaws are toughest on the performer. Part of the arts trade; the muse is merciless. I agree completely. I saw the Saturday night performance and was dumbstruck by the experience. I noticed a couple notes that sounded slightly off, but it didn’t dampen my appreciation for the entire performance. He received a solid three or four bows worth of standing ovations which was nice. What specifically was that Bach encore if I may ask? Loved reading your thoughts on this! Carl, so great to read your comments, too! I love having the opportunity to chat with someone else who saw the same performance (okay, the same performer, different performances). Glad to hear the Sat pm crowd gave him the ovation he deserved. You know, I should have factored that in to my thinking, when the Sun matinee crowd was sluggish about applauding. That is quite often the case. I much prefer the Sat pm crowd – such wonderful vibrancy and energy within the audience, but the daytime jaunt from the Santa Cruz Mountains, where I live, is so much easier. I don’t know what specifically his encore piece was; I’m almost certain it was a Bach partita on Sunday afternoon, but don’t know which one. I’d be curious to know, too. It was so lovely. And an interesting thing at the end: when he’d pulled the bow across the strings for that last note, and lifted the bow, he stayed in that position, frozen, for a good ten seconds. It was fascinating to observe. It’s like the music had such a grip on him, it was still there hovering in the air, and he couldn’t move until something inside of him allowed him to. Well, maybe that’s being fanciful. But clearly he was cast under the music’s spell, that lasted several beats into the silence that followed. So intriguing to observe! I too find it really great when the artist seems as enchanted as I feel. 🙂 Something else I noticed, he seemed really noticeably humble. I know that may sound ridiculous, but he actually hugged the concertmaster after his performance and was very deferential to the orchestra during his ovations. While I’ve seen similar gestures from other soloists before, his seemed somehow more. Certainly he seemed appreciated by the Symphony though I didn’t experience the foot tapping you described from Sunday’s show. I guess it comes down to me being new to the symphony in general. I didn’t start attending till about a year ago and so it all feels new and fresh to me regardless of how old the music actually is. 🙂 And Kavakos really seemed like engaged and down-to-earth if that makes any sense. Definitely a performance to remember. I just got an email back from the SFS about the encore. Thought you may want to know. Yes, yes! Agreed on all that you wrote! I absolutely love Joshua Bell’s interpretation of the Sibelius, but I’ve never picked up what you described, that deference and humbleness. I read a review somewhere that called him “a musician’s musician” and that made perfect sense to me. I’ve had this subscription to the symphony for 9 years now, and have never seen that foot-tapping applause from the musicians, for a soloist. (There is, quite commonly, some mild antipathy between the two factions.) I noticed the foot tapping for the first time ever, just last season, when they foot-tap-applauded the guest conductor. Very cool, especially because there, too, you can have some “opposite sides of the camp”, between conductor and musicians. …And you can never post too many posts here, Carl. I’m enjoying them all! Definitely two different encores, and I would have LOVED to hear the one he did for the Saturday night crowd. And I’m smiling now, thinking of one concert, about 5 years ago, where the audience wouldn’t stop clapping for Anne Sophie Mutter, and she offered a whopping THREE encore pieces (between rounds of leaving the stage and coming out for more bows, more bows, etc). Have never seen something like that, either before or after. That experience with Anne Sophie Mutter sounds really great. I saw her play the Tchaikovsky piano trio at the Green Music Center in Rohnert Park a year or so ago and it was incredible. If you will indulge a silly question, who are some of your favorite composers? Chopin, Tchaikovsky, Dvorak, Saint-Saens, Fauré, Sibelius, Grieg, Ravel, Mahler, Schumann, Bruch, Cesar Franck, Korngold, Wieniawski (his violin concerto! ), Mendelssohn, Brahms, Beethoven (esp his violin concerto) and I could go on and on but you get the idea. The Mainstream and Late Romantics. Am growing fonder of the early 20th century stuff, and into the mid-20th. (Barber Violin Concerto!) The atonal stuff, I really have to work to like. But, that said, I could still go on and on. Shostakovich. Bartok. Elgar. Et cetera. Carl, I credit the San Francisco Symphony and their smart programming for the reason I’ve listened to any atonal/12-tone music at all. They slip it in, in small servings, or else with some “comfort food” (i.e. 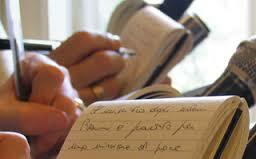 : our lists above) symphony in the program. Also, the program notes, usually written by the late Michael Steinberg, tell such a great story about the piece. His history on the Berg Violin Concerto made me just love the concerto so much. Wow, what heart I wouldn’t have otherwise picked up. Now, the Schoenberg Violin Concerto, sadly, I cannot warm to. No amount of program notes are going to help me there! And one time the SFS did a world premier of a John Adams symphony. It lasted sixty minutes, or even more (sure felt like more) and I was so bored and sleepy and unsatisfied by the end. Actually, I was grateful, come to think of it, because it had finally ENDED. It was asking a bit too much from a mainstream audience, in my mind. I totally agree. I heard a John Adams piece as well (Chamber Symphony I believe it was called) that was certainly not an hour long but absolutely felt like it. Definitely outside my interest. And as far as Mozart goes, I really adore a number of his piano concertos which is why I listed him, but I haven’t connected to virtually any of his other genres. But I’ve not heard his legendary operas yet. And Amadeus is currently in my Netflix que. As film is another of my great loves, you needn’t feel sheepish for using that as a reference point. I totally understand. I’ve not heard the Berg or Schoenberg violin concertos. But the one piece by Schoenberg that I have heard doesn’t inspire much of a desire. And upon further review of your composer list, there’s at least one work by virtually all of them that I’ve already fallen in love with. A great group indeed. I just saw the SFS a few days back do Saint-Saëns’ Symphony #3 which is one of my very favorites. So gorgeous. Anyway, have a good weekend!